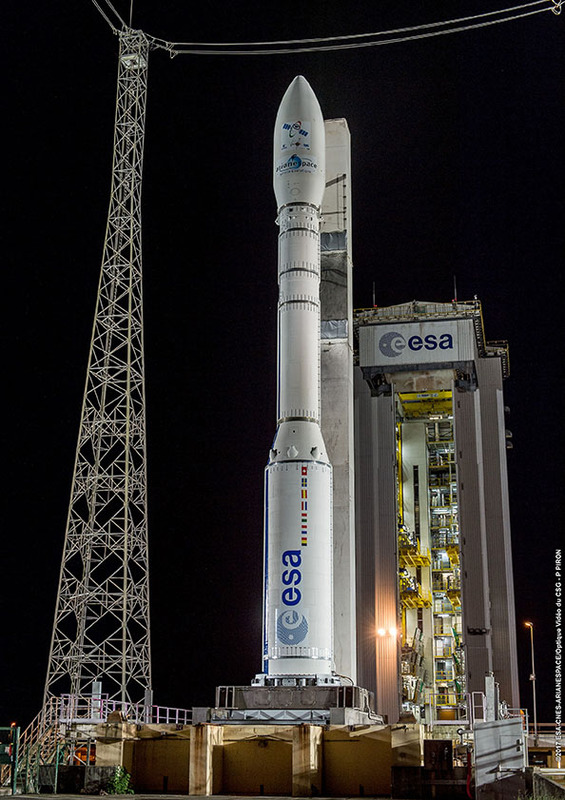 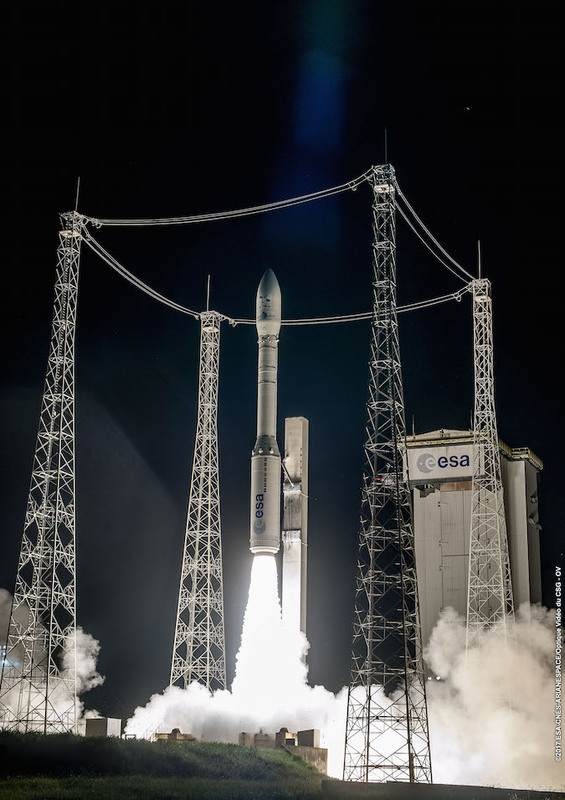 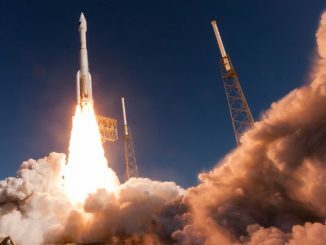 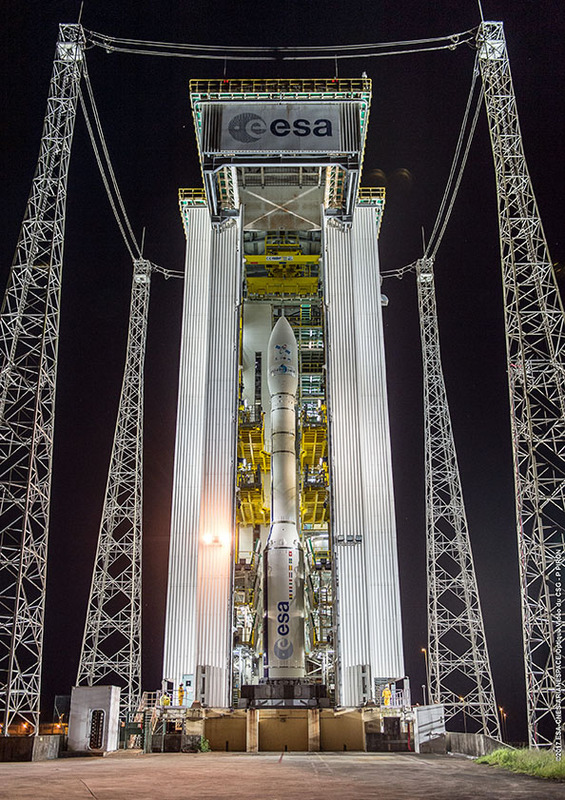 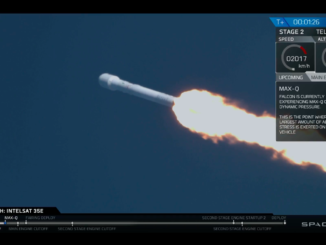 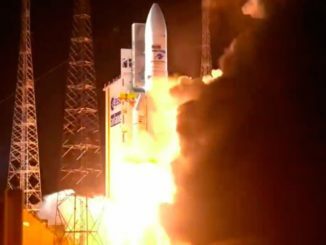 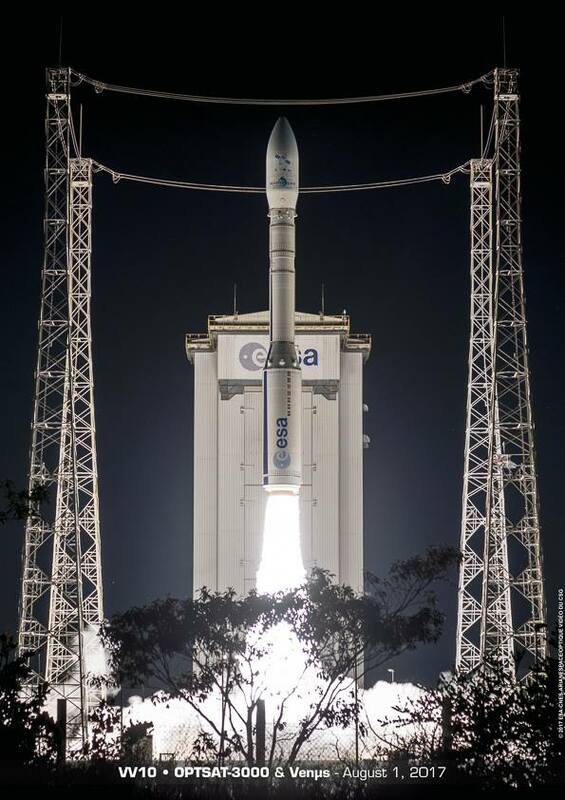 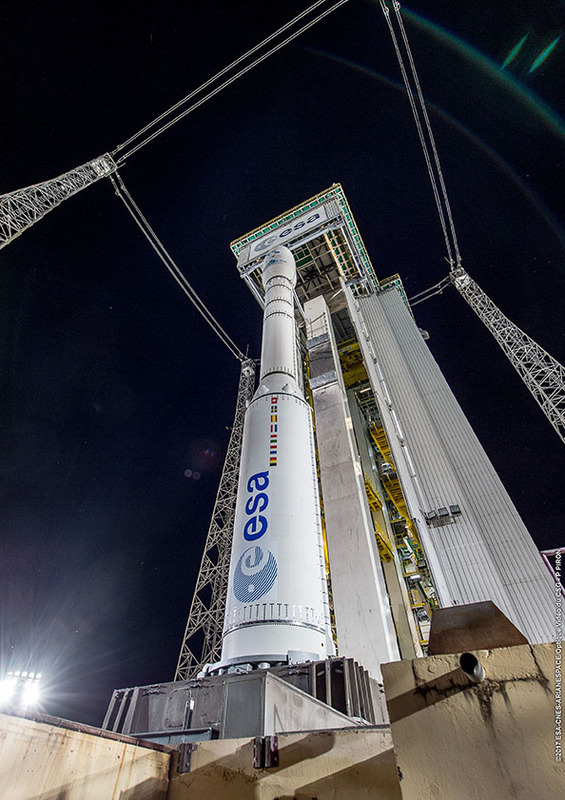 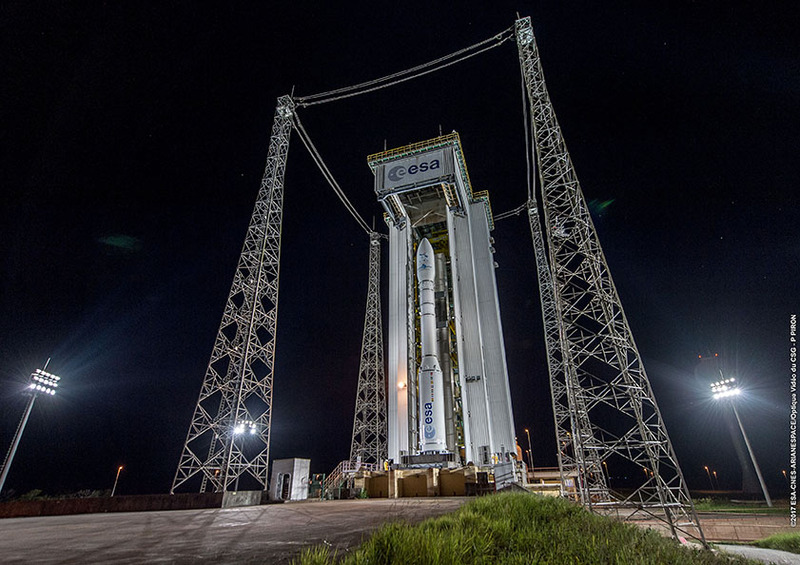 The 98-foot-tall (30-meter) rocket took off at 0158:33 GMT Wednesday (9:58:33 p.m. EDT; 10:58:33 p.m. French Guiana time) with the Optsat 3000 and Venµs spacecraft, each weighing less than a half-ton. 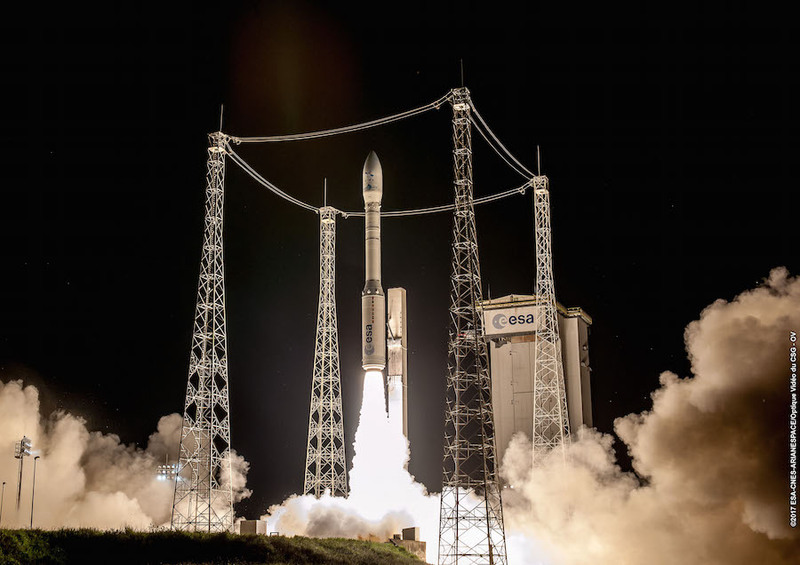 The small satellites will collect optical reconnaissance imagery for the Italian military and gather data on Earth’s vegetation for the Israeli and French space agencies. 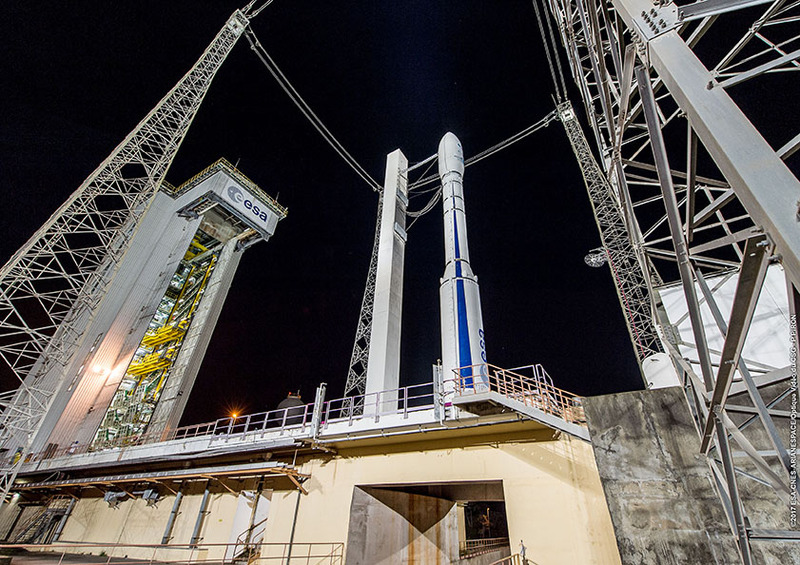 The photos below show retraction of the mobile gantry at the Vega launch in Kourou, French Guiana, followed by blastoff.